The social epidemiology of alcohol and substance use explicitly considers the social factors that shape the population attitudes, behaviors, and distribution of substance use behavior. Several biological, social, environmental, psychological, and genetic factors are associated with substance abuse. According to the Centers for Disease and Control Prevention (CDC), these factors can include gender, race and ethnicity, age, income level, educational attainment, and sexual orientation. Substance abuse is also strongly influenced by interpersonal, household, and community dynamics. The following are abstracts from the “Social and Cultural Contexts of Alcohol Use – Influences in a Social–Ecological Framework” research published in 2016. Media exposure helps influence social norms about alcohol through advertising, product placements, and stories in a wide range of sources, including movies, television, social media, and other forms of entertainment. 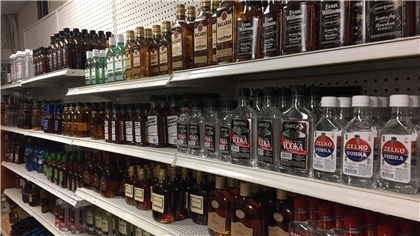 Although alcohol sales and marketing are highly regulated, people are exposed to a wide variety of alcohol and liquor advertisements, especially in the United States. Whether these advertisements directly result in an increase in consumption has been the topic of many public policy debates and much alcohol and consumer research. Since the introduction of flavored alcoholic beverages in the 1980s, the alcohol industry has engaged in targeted marketing efforts toward youth in general, and especially young women (Mosher and Johnsson 2005). Products with sweet fruity flavors, colorful appearance and packaging, as well as lower alcohol content are designed to appeal to young women. Fruity drinks mask the taste of traditional alcoholic beverages with the sugary flavors of soft drinks (Mosher and Johnsson 2005), making them more palatable for this consumer market. Although the alcohol industry claims that its marketing strategies target adults ages 21–29, products like flavored alcoholic beverages remain attractive to younger drinkers. Youth under age 21 see and hear marketing for flavored alcoholic beverages disproportionally on a per capita basis compared with adults (Jernigan et al. 2005), and a disproportionate number of youth consume alcoholic beverages (Mosher and Johnsson 2005). Furthermore, youth exposed to alcohol advertisements tend to drink more on average than their peers who were exposed to less intensive alcohol-related marketing (Snyder et al. 2006). Specifically, the authors found that each additional advertisement viewed by youth increased the reported number of drinks consumed by 1 percent. Increased use of social media for alcohol marketing has paralleled changes in communication methods among adolescents and college-age youth (Hoffman et al. 2014). Marketing techniques for a wide range of products reflect studies that online platforms are likely to influence adolescent behaviors (Cook et al. 2013). Social media venues are most widely used by youth, with 92 percent of teens reporting being online daily and 24 percent online “almost constantly” (Lenhart 2015). Social-networking sites such as Twitter, Instagram, and Facebook feature alcohol-related marketing. One study found that by 2012, there were more than 1,000 alcohol-related sites on Facebook alone (Nhean et al. 2014). Alcohol use increases with the number of online peer ties and greater peer density, a measure of interconnectedness in the social network (Cook et al. 2013). Despite self-imposed regulations aimed at preventing underage youth from accessing alcohol advertisements on social media, more than two-thirds of advertisements on YouTube are accessible to youth under the legal drinking age (Barry et al. 2015). Racial and ethnic minorities, especially those living in African-American communities, are likewise exposed to targeted alcohol beverage advertisements (Wilson and Till 2012). African Americans account for 13 percent of the U.S. population, but they purchase 67 percent of all malt liquor sold (Miller Brewing Company 2000). Malt liquor generally has higher alcohol content, is less expensive, and is sold in larger volumes than other beers and ales, and African Americans are exposed to more malt liquor advertisements than other groups. 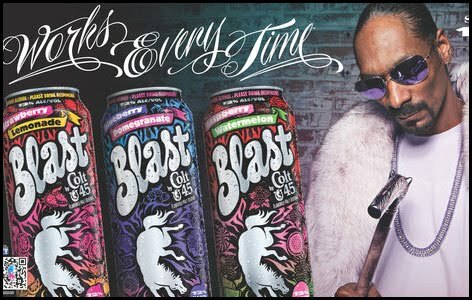 Billboards and other advertisements for malt liquor are disproportionately found in neighborhoods with higher percentages of African Americans, and rap music lyrics frequently mention malt liquor (Herd 2013; McKee et al. 2011). 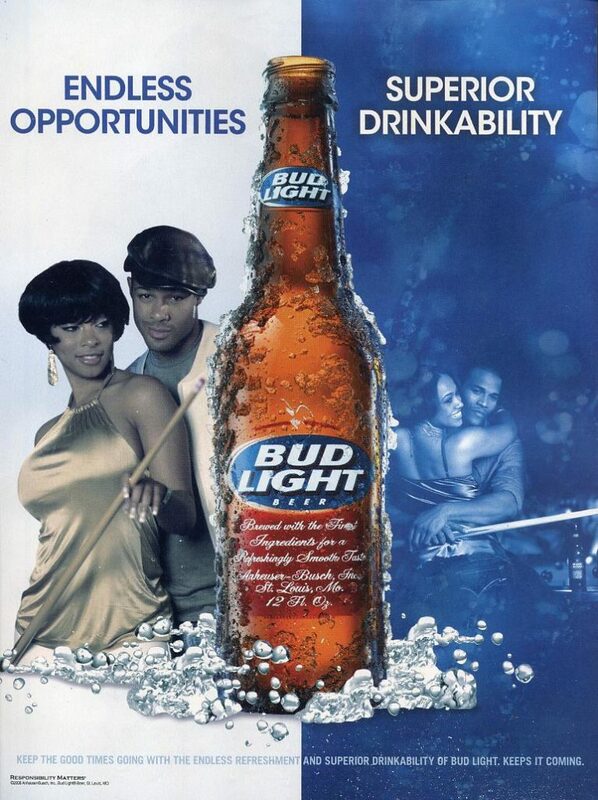 When examining alcohol advertising in newspapers, Cohen and colleagues (2006) found that there were more alcohol-related ads in newspapers targeted to African-American readers compared with newspapers with a more general readership. 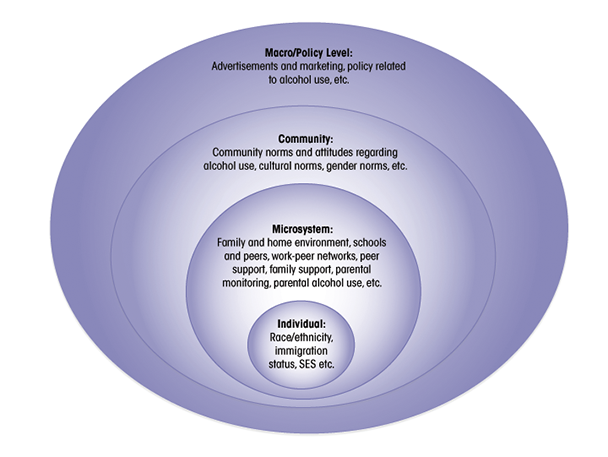 The literature on community influences on alcohol use focuses primarily on environmental aspects, such as neighborhood characteristics and opportunities for alcohol purchasing and consumption. For example, one study found that individuals who lived in a neighborhood with a poorly built environment, characterized by inferior building conditions, housing, and water and sanitation indicators, were 150 percent more likely to report heavy drinking compared with those living in better built environments (Bernstein et al. 2007). Other studies have examined the spatial epidemiology of neighborhoods regarding alcohol availability, individual consumption, and community disorganization and violence (Cohen et al. 2006; LaVeist and Wallace 2000; Scribner et al. 2000; Shimotsu et al. 2013; Theall et al. 2011). Spatial relations between alcohol outlets and individual consumption also may be a key to explaining differential rates in alcohol use across racial/ethnic groups. A number of studies suggest that minority communities have higher concentrations of liquor stores than White communities (Alaniz and Wilkes 1998; LaVeist and Wallace 2000; Pollack et al. 2005; Romley et al. 2007; Treno et al. 2000), potentially increasing access to alcohol among minority populations (Freisthler et al. 2015; Scribner et al. 2000). 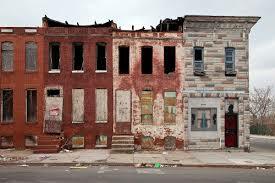 Moreover, living in a disadvantaged neighborhood at an early age has long-term effects. Childhood exposure to violence leads to increased exposure to delinquent peers and alcohol use (Trucco et al. 2014). In another study, realizing how easy it is to get alcohol, witnessing neighborhood drug dealing, and seeing peers drink were all associated with increased alcohol use (Chung et al. 2014). Some of the strongest influences on adolescent drinking behavior come from the people that youth spend the most time with: family and friends. Studies have found that higher levels of alcohol use among parents and peers is associated with increased alcohol use among adolescents and young adults (Cruz et al. 2012; Dawson 2000; Mares et al. 2011; Osgood et al. 2013; Trucco et al. 2014; Varvil-Weld et al. 2014; Wallace et al. 1999; Walsh et al. 2014; Williams and Smith 1993). Developmentally, people’s social contexts shift from the family unit during childhood to focus more on their peers and their schools during adolescence. Reflecting this, parental alcohol use seems to exert a greater influence before age 15 and diminishes over time (Dawson 2000). Conversely, family support, bonding, and parental monitoring is associated with lower alcohol use (Bahr et al. 1995; White et al. 2006) and social networks and social support also have protective effects (Ramirez et al. 2012). Higher parental monitoring also protected against alcohol and marijuana use (White et al. 2006). Moreover, higher levels of familism (values that place family needs over individual needs) and being in a nuclear family served as protective factors among adolescents (Ewing et al. 2015).